Sixteen years since their first (and only) release, Music for Movies Unmade, Vivid Low Sky is finally set to unveil their second album, the appropriately titled II. The band began as the studio brainchild for multi-instrumentalist David Koslowski (90s art-rock group Liquor Bike alumni), and their all-instrumental debut found them embracing a beautifully eclectic range of sounds. While Vivid Low Sky could easily be lumped in with the post-rock fray, the band exercises a far more judicious sense of brevity than most of their peers. With an impressively jarring step forward, II feels very much like a book-end of sorts when compared to the band’s debut. The formula is still the same; focused and concise instrumentals owing more to the likes of Pavement than the cinematic overtones of a band like Pelican. But the key difference this time around is that the songs on II are so downright tuneful that the vocal melodies you found yourself looking for on their debut are in no way missed here. In fact, songs like the album opener “The Black Forest” perfectly underscore this point, with overdubbed guitars nudging the band from verse to chorus with every bit the charisma of a singer. And while the songs on II had been coming together for years, Koslowski (along with Shirle Hale (his wife), Miyuki Furtado, Thomas Moore, and J Robbins) recorded the entire album in two days with Robbins at his Magpie Cage Studio in Baltimore. The album comes on the heels of one of the darkest periods of Koslowski’s life, following a stretch where he battled depression and coped with losing his father. But while some of II pensively ruminates, the overall flow of the album is a dramatic upswing, building and swelling over the course of its nine tracks like a sonic victory of sorts. I am as big a fan as anyone when it comes to post-rock, but even I have a hard time arguing with the common complaint of ‘long-windedness’ that many of the genre’s biggest acts tend to be guilty of. 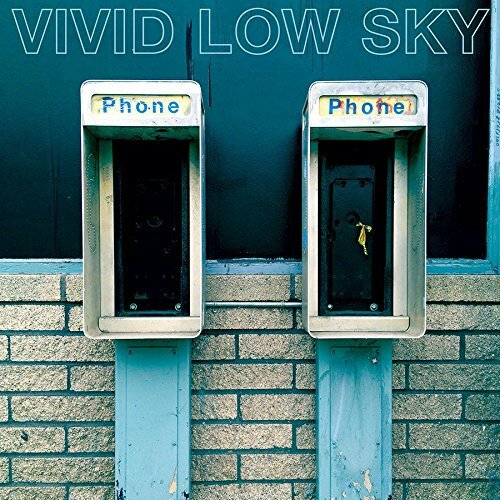 Vivid Low Sky’s II is an instrumental gem, obviously reinforcing that age old adage that good things come to those who wait. Really thoughtful review. Take 6 reminded me of classic Blue Note bebop, or even Dave Brubeck Iin the intro. Thanks...was really impressed with this effort.